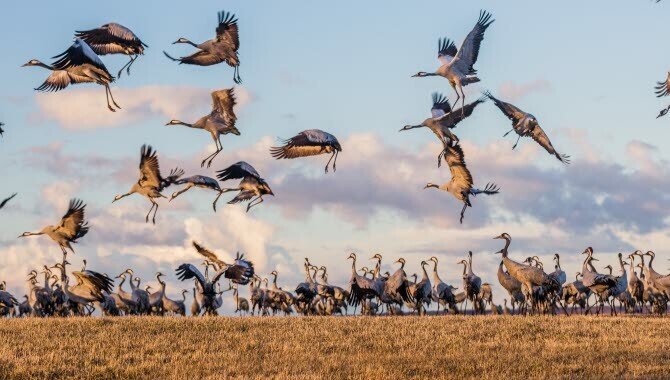 The arrival of the craes marks the coming of spring at Hornborgasjön, where thousands of cranes touch down every year on their way north. Seeing the crane dance is something very special, a truly fantastic experience. These magnificent birds usually arrive around the middle of March. The region around Lake Hornborga is a treasure chest of experiences. 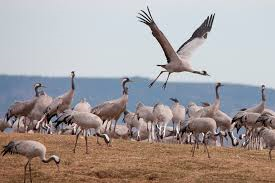 Here you can experience beautiful scenery and fascinating history, enjoy locally sourced food, see cranes dance at close range, stay in unique accommodation and much more. CA Travel Nordic can help you to plan your trip to the Nordic countries.